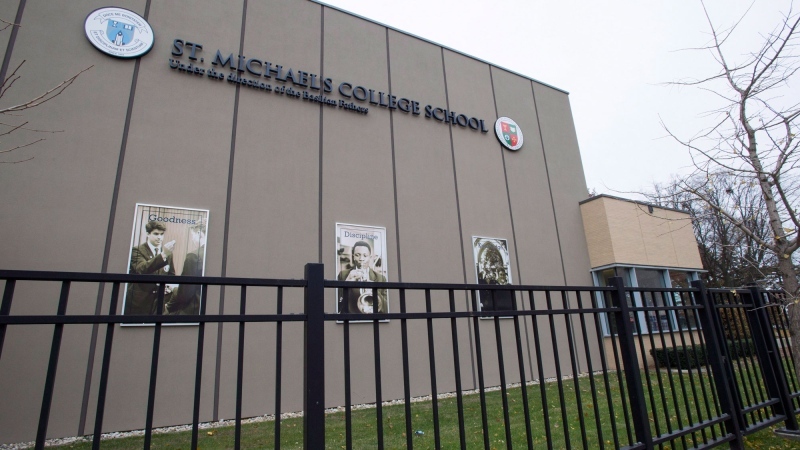 Police say they have received two new videos showing alleged criminal activity related to a private all-boys Catholic school in Toronto, bringing the total number of incidents involving the school that are under investigation to six. Insp. Domenic Sinopoli said Tuesday, that one of the videos was being investigated as a “threatening occurrence” and the other as a case of “assault with a weapon." As police continue to investigate, school officials announced Tuesday that they are cancelling all school-sanctioned events in which students and parents might interact with the wider community. The move affects “all events involving external groups, teams, and public performances for the remainder of 2018,” the school said in a message to parents. “The recent events our community has endured and the ongoing police investigation have led to this difficult decision, which is made in our continued commitment to the safety and well-being of our students,” the message reads. Additionally, the school has cancelled a “self-help day” scheduled for Dec. 11, as well as mid-year examinations planned for mid-December.